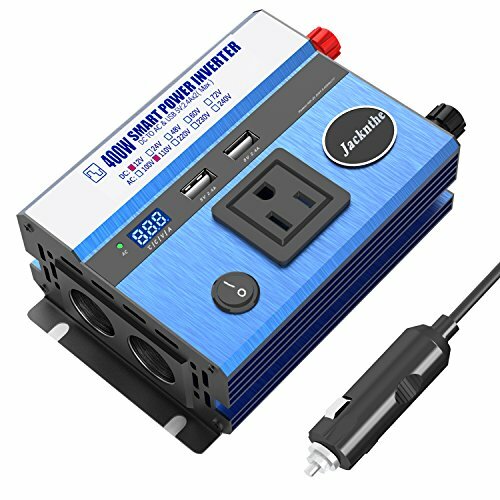 It is a highly self-protective power inverter, unique external design. Using the Anti-scratch, Aluminum Alloy material on shell. It's very stable, durable,reliable and safety in using. Ideal for road trips, vacations, outdoors, emergency kits and more for your vehicle. Compact & User-friendly Design: Adopted advanced aviation materials and high-tech design. Space saving and easy storage, extremely portable. Easy operating, using battery clamp connect the inverter directly to the car battery. If you have any questions about this product by Jacknthe, contact us by completing and submitting the form below. If you are looking for a specif part number, please include it with your message.